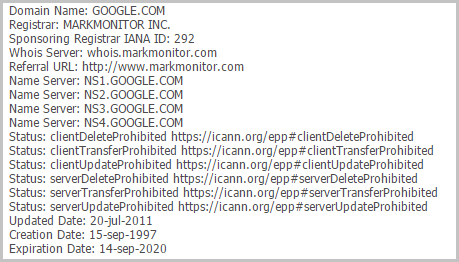 If you’ve ever wondered how to find out who owns a certain website, simply go to any whois directory and search for any website you want. The results will show information about the registered domain holder. Simply go to any whois directory such as whois.icann.org and type in any website you want. The results will show information about the registered domain holder. Here are some examples. Although this can give valuable information, it may not always show the actual website owner. You may find listings for the admin, a mailing address, a phone number, and even an email address. Other information you can find are domain servers used, the domain creation date, the domain expiration date, and the registrar. Still looking for who owns a website? You can always search the source. Go to the website and search for about us, contact us, or even a history on the company. You may be able to find out who owns or manages it just from searching on the website. Next Next post: Does Windows 10 Need Antivirus?